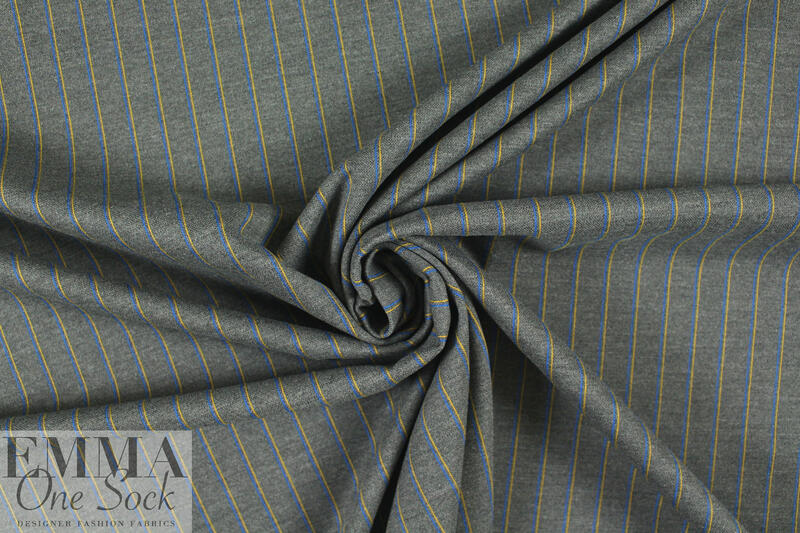 From Italy, this sophisticated wool blend pinstripe doubleknit has about 30% in both directions, but is very stable. 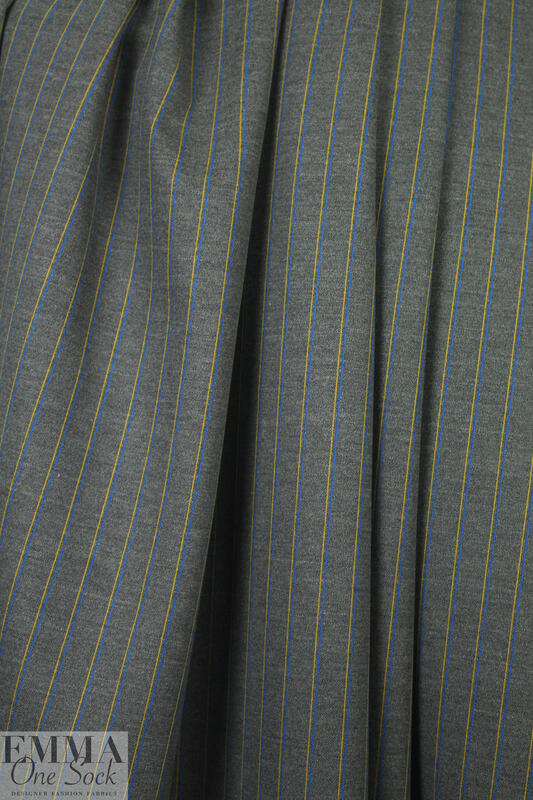 It is opaque with a nice drape that has some body, and the vertical pinstripes have a 3/4" repeat, featuring dark gray with cobalt and yellow stripes (PANTONE 18-0306, 19-4150, 14-0754). 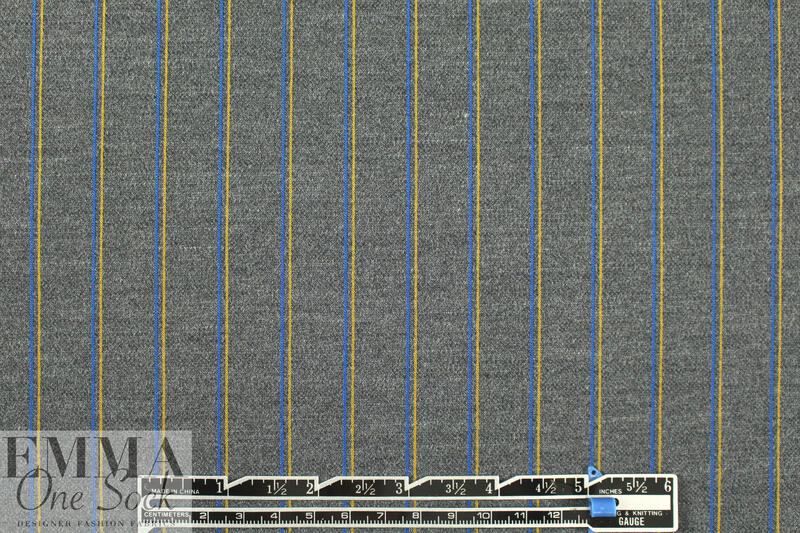 The reverse is more tweedy and not really meant to be seen, although it could be used for trim and contrast. 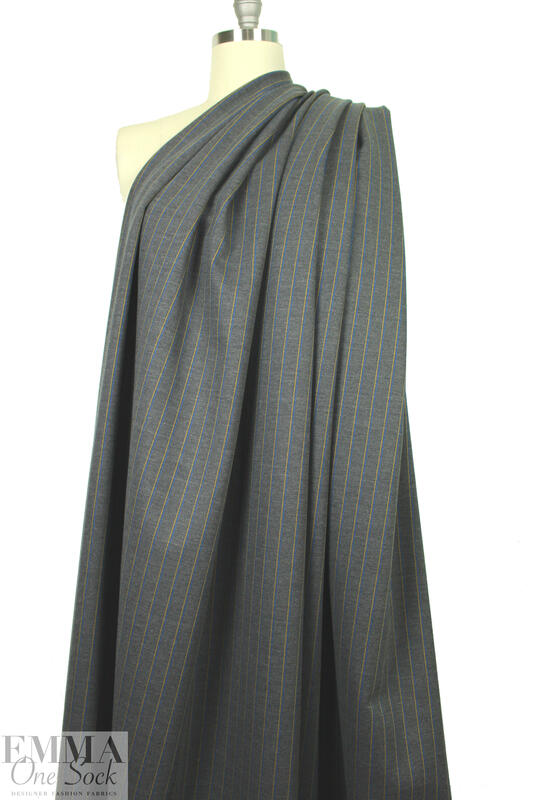 Perfect for knit suiting, sheath dress, pencil skirt, elastic waist pants, jacket, tunic, etc. Dry clean or test first if you would like to try hand or machine wash, and hang or lay flat to dry.